Place the crab, lemon rind, mayonnaise, salt and pepper in a bowl and mix to combine. Spread the crab mixture over the bread and layer with the cucumber slices. Cut the crusts from the bread and discard. 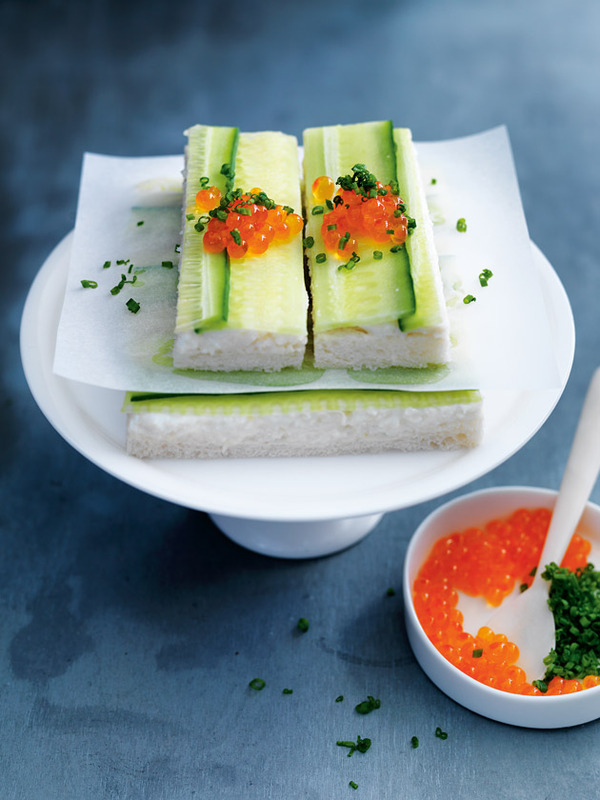 Cut each slice of bread into 3 fingers and top with the salmon roe and chives to serve. Makes 12.